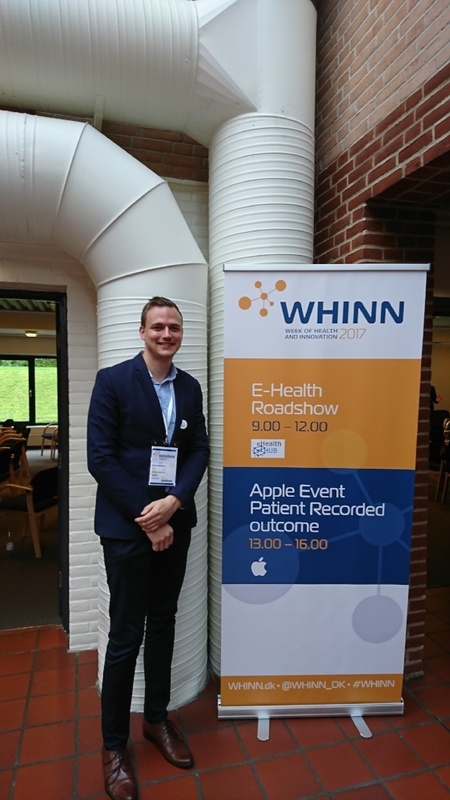 We participated in WHINN - Week of Health and Innovation held in Odense, Denmark. The event was successful for us and as the cream on the top we managed to reach the first place in the eHealth Roadshow pitching competition organized by the European project called eHealth hub! As a prize, information about our company and our solution BuddyCare is shared across the ScanBalt Bioregion in Scandinavia and Baltic countries. Congratulations also to all other companies who were pitching, you were fantastic! During the event, we learned a lot about the Danish healthcare market, its special characteristics and what could be the best approach for us to enter the market. It was also great to hear direct feedback about our BuddyCare solution and understand that there's a need for engaging patients better in their own care and digitize care pathways also in Denmark. Danish healthcare system seems to also be rather favourable towards digital health solutions, which is of course vital for introducing our solution there. Now we'll go through all the great contacts we met during the event and will start discussing and investigating what would be the best angle and cooperation model that yields value for everyone. Thank you WHINN for an interesting couple of days and let's see each other again next year!